This was the sad, weird reality of munitions plants in the New York metropolitan area. Staten Island was one of America’s largest producers of fireworks and saw its share of disasters, including a 1907 explosion in Graniteville. 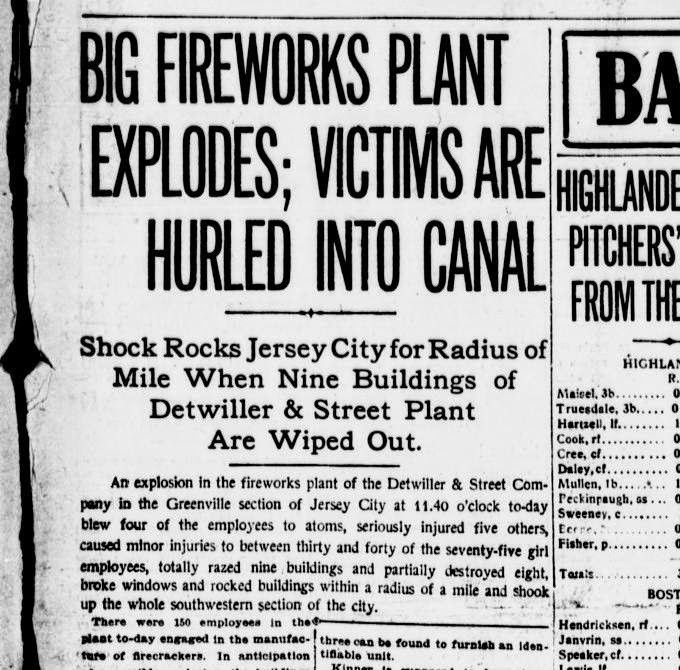 But there was one huge difference between the 1907 Graniteville disaster and the 1914 Jersey City explosion — World War I. Fireworks manufacturers during the war also produced munitions. As the United States wasn’t yet engaged in the European conflict, some manufacturers were hired directly by the Allied nations. This naturally leads to a more disturbing question — was the 1914 explosion sabotage by the German? An early postcard from 1873. 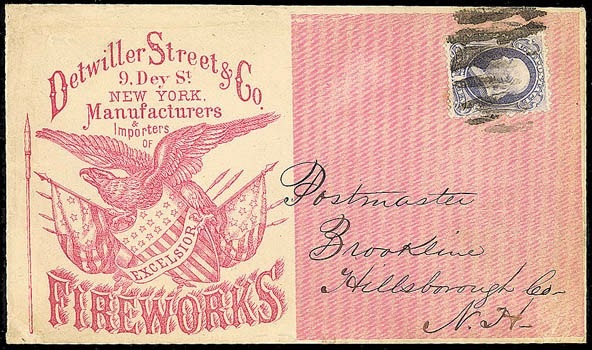 The New York based Detwiller & Street specialized in “fireworks, time danger signals, railroad track torpedoes, etc.” They were also responsible for the spectacular fireworks display at the opening of the Brooklyn Bridge. On July 30, 1916, a munitions depot on Black Tom pier in Jersey City was set ablaze by German agents. The resulting explosion killed seven people on neighboring Ellis Island in Jersey City and ricocheted through the metropolitan area, shattering windows in Times Square and over at St. Patrick’s Cathedral and shaking people from their beds in Brooklyn. The Statue of Liberty also suffered damage from this act of sabotage. 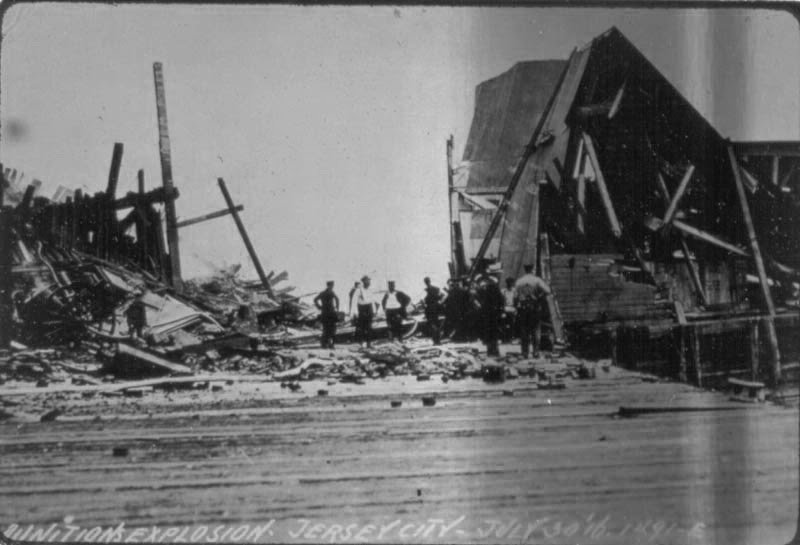 And so it’s hard to read accounts of the Jersey City explosion from one hundred years ago and not imagine the possibility of sinister intention.